It could be argued that, sometimes, the best ideas are ones where benefits extend well beyond their original goals. 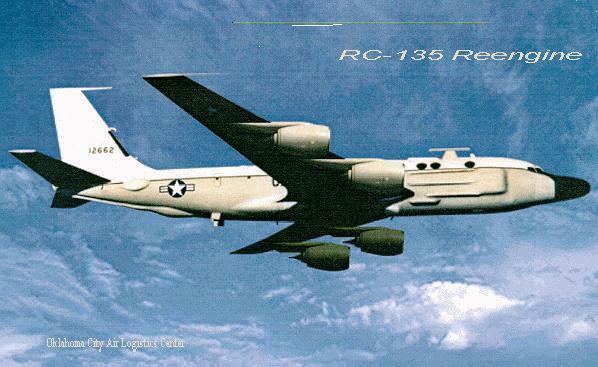 In the case of one Air Force reconnaissance aircraft, the RC-135, the benefits of an engine redesign are even greater than the original sister platform  the KC-135R tanker. According to Capt. Carlin Heimann, the RC-135 re-engining program manager at Tinker Air Force Base, Okla., the Air Force wanted the program for some time. Although funding was not made available until Fiscal 1996, the effort was necessary because of the aircrafts unique mission. "The RC-135 accomplishes a critical real-time intelligence and information-gathering mission that no other system in the U.S. Air Force inventory can cover," Heimann said. "Reengining these planes ensures that the RC-135s will be able to efficiently accomplish that mission well into the 21st Century." In the program, managed by Tinkers C/KC-135 Management Directorate and accomplished by Boeing Aircraft, Wichita, Kan., the four current Pratt & Whitney TF-33 engines are to be replaced by the F108 engine, which also powers the KC-135R. Installation of the new engines involves modifications to the basic airframe, Heimann said. New engine struts, engine cowling/ducting, fire detection and suppression systems, beefed up landing gear and wing, plus revisions to cockpit controls and displays are just the beginning. First among the unique modifications is the method used to start the RCs engines. Most jets have as part of their internal equipment a small jet motor known as an Auxiliary Power Unit, or APU. The APU provides electrical power to the aircraft when the engines arent running, as well as bleed air to start the engines when needed. The RC-135 has no room for an APU on board, so a Jet Fuel Starter, or JFS, will be installed on the number three engine and used to start the aircraft when ground power is not available. 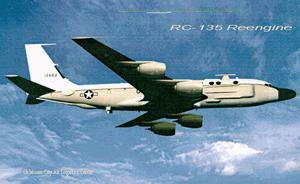 Also part of the re-engining process is supplying electrical power to the RC-135s systems. "When the tankers are modified, they have 45 kVA generators installed," Heimann said. "Since RC-135s require 75/90 kVA generators, this drives significant differences to wiring harnesses, the engine strut making it different from the tanker variant and other areas in order to accommodate wiring and associated parts. A lot of up front engineering work was necessary to design these systems to accommodate the increased power supply." The extensive electronics suite on the RC-135 requires higher cooling capabilities than most aircraft, and this also must be considered in re-engining. To accommodate this, an extra bleed air stage is being added to the F108 engines for the RC-135.